If you're an employee or student, it is very important to know the email etiquettes. When you are writing to a customer or a client, you must follow these email etiquette. You don't have to be expert in English to compose a professional email, all you need know is just a simple English with below email writing tips. You can find the below example in the screenshot. Grammarly is awesome Google Chrome browser extensions. It is worth to use them in our activities which help in correcting sentences and spelling mistakes to avoid mistakes. Never use a negative sentence in the Subject line such as "Don't", "Urgent", "Not", "No" etc,. and in the body, don't start with a negative sentence such as "I'm afraid to say", "I'm sorry about that" because reader may not interested in reading the complete email instead of that you can explain the scenario first and then saying him sorry would be appropriate. Writing the sentences on your own, instead of copying and pasting. Writing personalized emails will feel robotic. There are so many auto-responder tools available in the market which uses the repeated sentences. For example, "Nice to E-meet you" is most commonly used sentence on online while greeting for the first time and which sounds robotic. If you are using the Capital words in your email which means that you're shouting at the reader. Sometimes, few people use the capital words to highlight the importance of it. Though you are not intentionally shouting, the reader may feel that you are shouting at him. Therefore, avoid using Capital words in the emails. Don't use abbreviations in the emails, because the reader may not be aware of the abbreviations. It is always suggested to use what the abbreviations stand for. 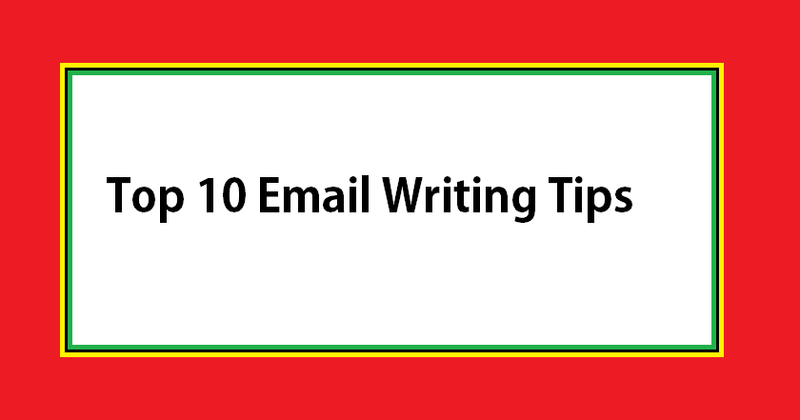 Take your time to re-write the sentences in a way that helps the reader to understand the email clearly instead of leaving him in the confusion. In the beginning, you may feel difficult to rephrase the sentences, but be assured that your writing skills will be improved and soon after you will be able to draft professional email with ease. Many people use the sentence such as "please find the attached" but they will forget to send the attachment. Many tools are available which prompts warning message when you attachment word in the email before sending the email. Screenshots/images help the readers to understand exactly what you're referring. Please do use screenshot/images in the emails. Email look clumsy if you are using too many screenshots in emails, it is suggested to use 3 screenshots to elaborate things. To highlight important sentences in the mean, you can make use font styles such as bold, Italic, underline and you can also use font colors in the emails. It is suggested to use bold to highlight the sentence to keep email simple. You can also use "Note:" and "Post Signature" to highlight the importance of the sentences. Proof Reading will definitely help in cutting down the mistakes, sometimes you may be missing to add the prepositions, Therefore, it is always better to double check the complete the email before sending emails. The best tip for writing an effective email is, read as many emails(good) as possible and analyze how they have formatted emails and how they are written. 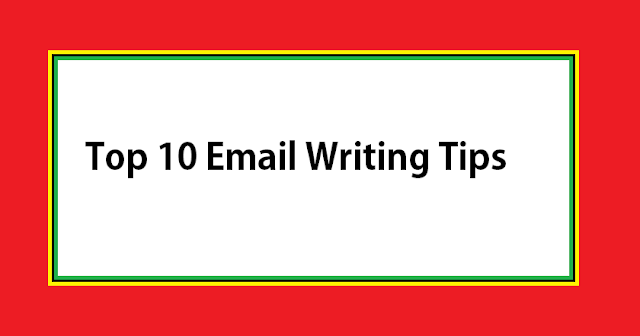 Hopefully, the above email writing tips will help you in improving your writing skills and emails look more professional.